The board will now begin the search for a replacement to a position they don’t have a clue about. Why doesn’t anyone see this situation is ridiculous? It’s like starting an Improvement District – how can anyone expect a positive outcome? From the Beefs and Bouquets Jan. 6/17. Mine is the one about Kevin but I sent it in before I knew he resigned. The next time there is a meeting, there will be so much correspondence and screw ups, the pro KIP trustees will try to dismiss concerns as being in the past. Just like Jacques and Loxam did when they received questions from landowners in August 2016, responded in November 2016 and think that’s the end of it being so long ago. These guys must be taking advice from David Godfrey who thought it just ducky to lock out the electorate by email from Jan. 2011 through Apr. 2011. This is what happens when you elect people who claim they will be accountable, transparent and all the other buzz words, and the minute they are elected and asked questions, they hide or shut down the process established to hold them accountable. 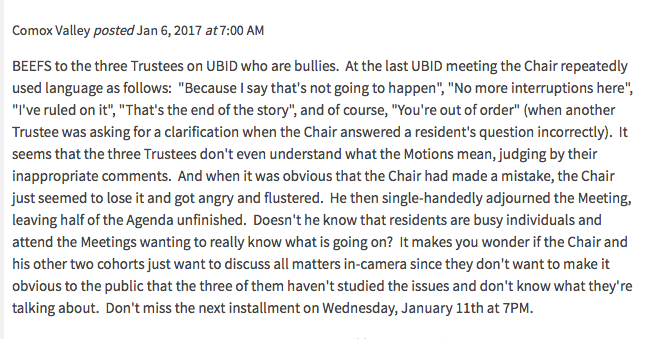 NOTE: I was concerned the meeting might have been replaced by an in-camera one preventing the public from attending but have been advised by UBID Administrator that it has not been replaced by an in-camera or any other meeting. Would certainly like to know why it was canceled. 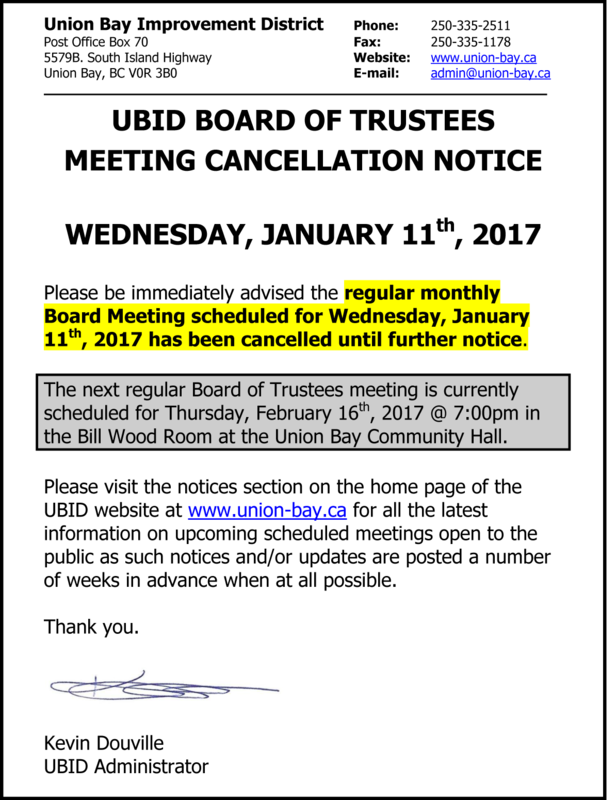 What the hell is going to happen in Feb. if we don’t have an Administrator – no public meetings? 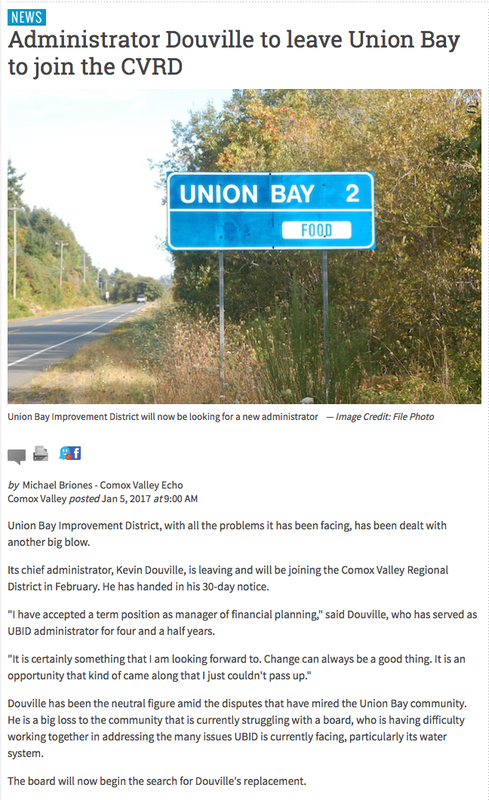 Guess where Union Bay is heading? Previous Post Another Email From Brian McMahon, VP Kensington Island Properties aka 34083 Yukon Inc.
Next Post The Latest Email Exchange With Brian McMahon, VP Kensington Island Properties aka 34083 Yukon Inc.